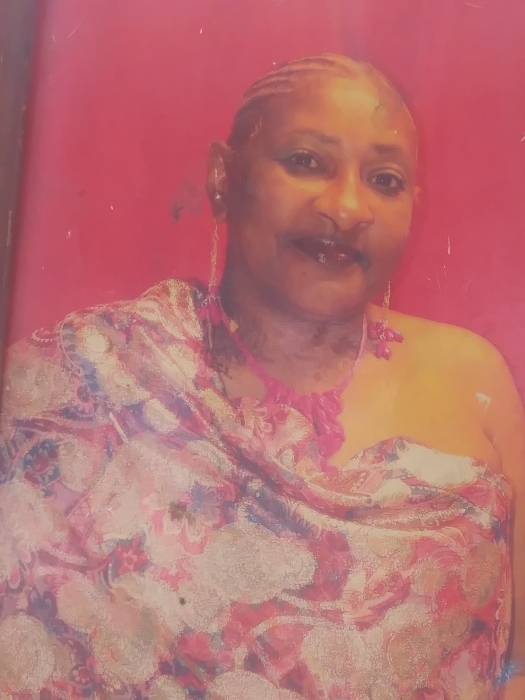 Obituary for Barbara Jean (Holland) Holland | Hairston Funeral Home, Inc.
Ms. Barbara Jean Holland, age 59 of Lexington, NC, passed, Sunday, March 24, 2019 at Forsyth Medical Center, Winston-Salem, NC. She was born in Forsyth County on July 18, 1959 to Margaret Holland Peck and the late Everett Mitchell, Jr. She attended the public schools of Iredell County and was last employed at Tyson Foods as a machine operator. Ms. Holland is survived by her daughter, Marquisha D. Holland, (Dontae), Lexington, NC, and her son, Allen L. Holland, Lauringburg, NC; brother; Ernest W. Peck, Cleveland, NC; sister, Alfreda Redmon, Mocksville, grand-children, Tamyaa Holland, Ayanna Holland, Alvin Holland, Amonni Holland, Neveah Wooden, Helena Wooden, and Jaelyn Holland; a host of uncles, aunts, nephews, nieces, cousins and friends. Funeral service will be held on, Tuesday, April 2, 2019 at Piney Grove A.M.E. Zion Church, 140 Fox Hunter Road, Harmony, NC. Pastor, Rev. Dr. Linden Rhodes, officiating. Visitation:2:00 p.m. Funeral: 3:00 p.m.